Big Giant Foam Pretzel Prop 12 Inches - Dino Rentos Studios, INC.
Add a Pretzel to your display! 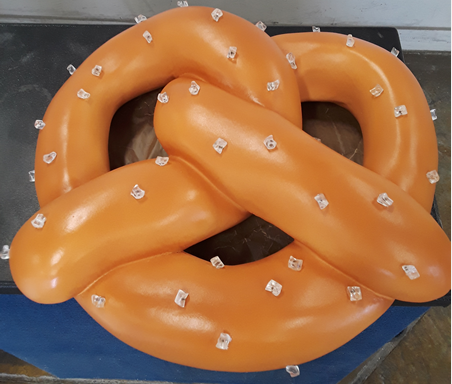 These fun pretzel props are available in 12", 24" and 36" online. Add options to further customize your prop. Call us for a custom quote to make your pretzel into a sign or mountable. 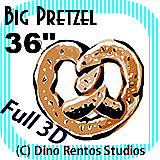 Plastic coat the pretzel to use outdoors or for long-term use. Price is for 1 Pretzel. Manufacturing runs 3-4 weeks plus delivery. Expedite services may be available.